Our R round magnets offer outstanding performance when used as single units – thanks to their compact dimensions and high load capacities. Our round magnets can be employed as RT spreader magnets for transporting large pieces of sheet and plate metal. Suspension at many points eliminates the sag that typically occurs in such applications. They can be used as stationary units installed on wall and pillar-mounted – or as mobile equipment on forklifts and workshop cranes, in stores and in industrial applications where sheet and plate metal is processed. 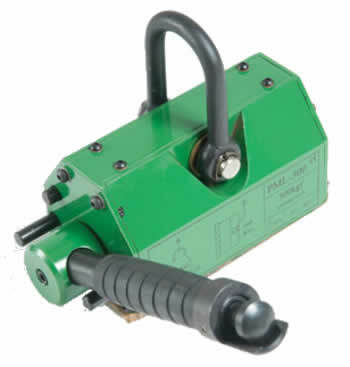 The magnetic lifter features a breakaway force 3.5 times greater than the working load limit. 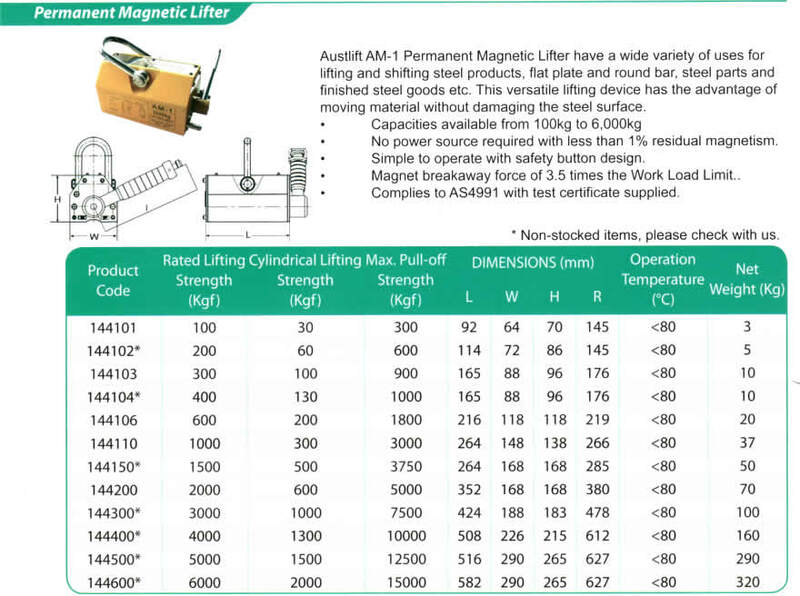 Weight capacities are available from 100kg to 6000kg. No electricity needed which will increase product safety. Once operated there is less than 1% residual magnetism. Use of plate with high-carbon content will reduce the absorbability to less than 50% of rated capacity. Use of plate with high carbon content is not recommended.